All you need to keep your makeup looking perfect throughout the day and night, this Real Techniques trio set contains three mini makeup brushes ideal for carrying around in your handbag. The super soft brushes can be used for liquid foundation, eyeshadow, bronzer and blusher to ensure you're looking your best. K.D. 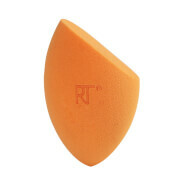 Mini Foundation Brush: Perfect for use with liquid foundation or concealer. Mini Shading Brush: A multifunctional eye shadow brush. Mini Face Brush: Perfect for touching up your blusher, bronzer or powder. 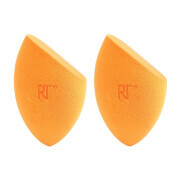 They are perfect to put it in your bag wherever you go.For producing a whole look just with 3 brushes. 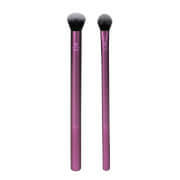 These brushes are very soft, dense, and handy (Cheek brush around 9cm, concealer brush 9cm, eye shadow brush 7.5cm). So this is good for travel or in the pouch. It is not for everyday makeup though. Cheek brush is too small and light to finish in one (or few) stroke. These brushes are the perfect travel sized brushes and really versatile! They make look small but they are more than capable of doing the job.